I am aware that in Africa, many people are without running water and cooking facilities, and so I am of course extremely grateful that you have provided us with both sinks and stoves (no oven) in the communal kitchens. I am, however, at a loss has to how it is possible for only 3 of the 8 burners to work most of the time. And I say most of the time, because this morning, none of them did. 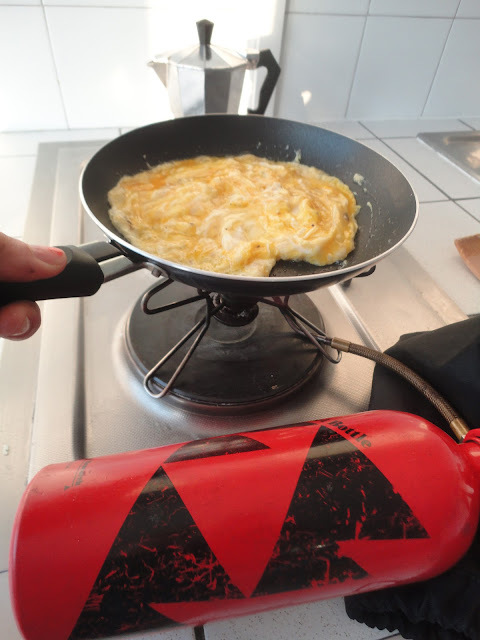 So I sincerely hope you can forgive me for cooking my eggs over an open flame. Nobody has told me this is against the rules (yet).